Mix flour, brown sugar, salt and pecans. Beat butter and eggs in a bowl. Add vanilla. Stir in dry ingredients to egg mixture until just combined. 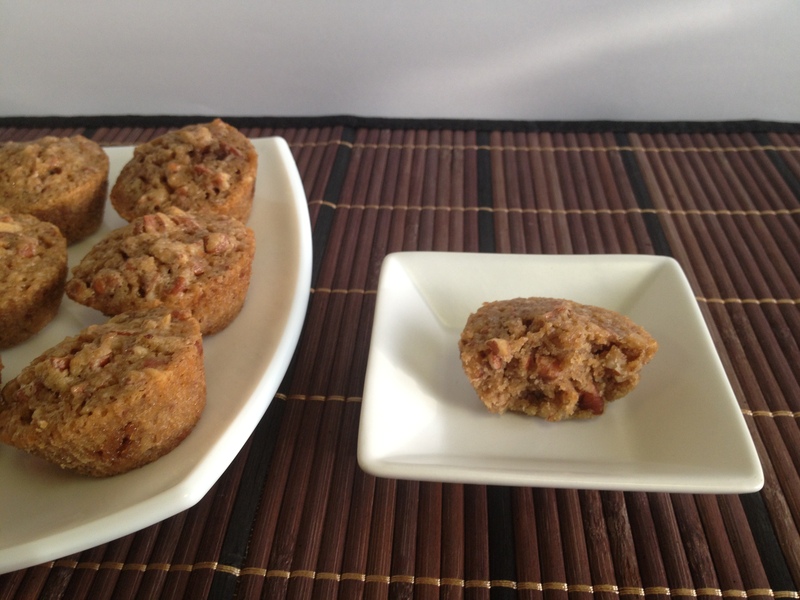 Grease the mini muffin tins nicely or use silicone muffin cups. Fill the cups to almost full and bake in a preheated oven at 160 degree Celsius for 10-12 minutes. Cool for some time before you take out of the cups. Enjoy. 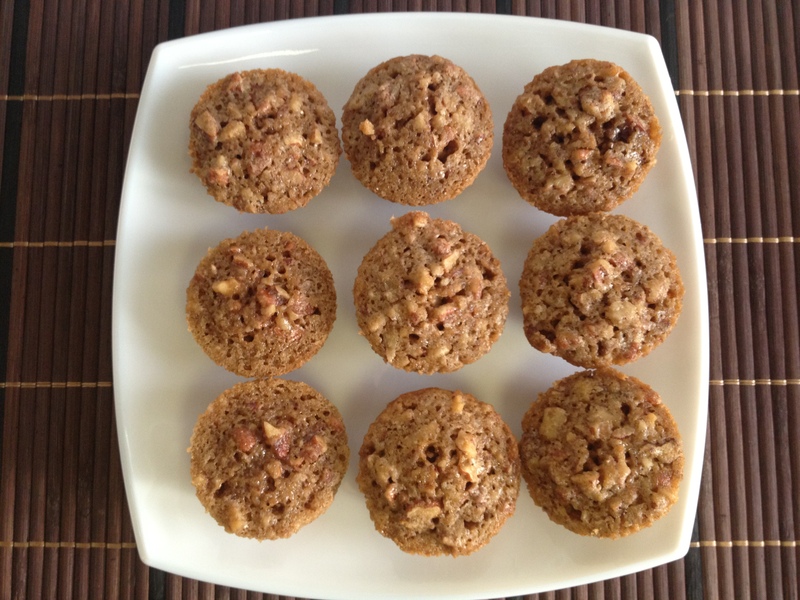 This entry was posted in Cake /Muffin, Desserts/Sweets and tagged pecan muffin, pecan pie muffin by PriyaBaby. Bookmark the permalink.